The foreign ministers from eleven EU nations have published a document calling for greater powers to be given to European institutions. Quote: “Mr Barroso said he was not calling for a "superstate", but rather "a democratic federation of nation states that can tackle our common problems, through the sharing of sovereignty". "Creating this federation... will ultimately require a new treaty," Mr Barroso said. The 'Future of Europe' calls for a new EU presidential post that would merge the roles of President of the European Council (representing the heads of state governments) and the President of the EU Commission (the body responsible for proposing EU legislation). The EU Commission, currently comprised of ministers chosen by member state governments, would be transformed into the federal government of the European Union. Commission members would be selected by the EU President, who himself would be directly elected by the people, to give some appearance of democratic legitimacy. The document also sets forth a raft of other proposals, including handing greater powers to the EU Foreign Policy chief, the establishment of a European army and the creation of a European border force. The paper also demands the EU's requirement for unanimity when voting for new legislation be dropped, preventing Euro-skeptic states like Britain from derailing further political integration as they did with the proposed 'fiscal union'. Quote: “It floated the idea of a single EU President who runs the commission and the EU Council and who is directly elected by voters in a pan-EU vote "on the same day in all member states." It also proposed that EU external borders should be manned by a "European Border Police." As you can see, the fact that EU politicians are now talking about creating a European federalist state headed by a single individual shows us just how close we may be to the fulfilment of these verses. This can only mean one thing, that Christ's return is near. The Lord Jesus Christ into this world over two thousand years ago in order to provide a way whereby our sins could be forgiven. He gave His life for you. 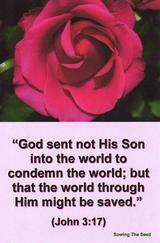 He bore God's judgement for our sin upon the cross of Calvary. And He promised that one day He would come back again to take all those who had trusted in Him for salvation to be with Him where He is (John 14:3). He is coming soon. Have your sins been forgiven? Have you trusted in the Lord Jesus Christ for salvation? Don't wait until it is too late. Believe on the Lord Jesus Christ and you shall be saved (Acts 16:31).